In the first article of this series we began by painting the big picture concerning IPv6 and explained how nodes can be identified on an IPv6 network. Then in the second article we examined the different types of IPv6 addresses and what they can be used for since IPv6 uses several different kinds of addresses with each of which being used for a different purpose. In this next article we're going to examine some different ways how IP addresses can be manually assigned to nodes on your network. As mentioned in the previous articles, the explanation and procedures included below are largely adapted from my book Training Guide: Installing and Configuring Windows Server 2012 R2 (Microsoft Press, 2014) which is available from http://www.amazon.com/exec/obidos/ASIN/0735684332/". Also included at the end of this short series are some additional tips and gotchas on this subject that I've gleaned from the larger IT pro community including the almost 100,000 followers of our WServerNews weekly newsletter which you can subscribe to at http://www.wservernews.com/subscribe.htm. On IPv4 networks, you can assign addresses to interfaces in three ways: manually by using static addresses, dynamically by using DHCP, or automatically by using APIPA. Administrators of small networks often configure IPv4 addresses manually, and midsize to large organizations usually use DHCP. Automatic address configuration using APIPA is usually done only on very small networks such as a home or office LAN that connects to the Internet using a DSL router. In addition, a link-local address is always automatically configured on an interface regardless of whether stateful or stateless address autoconfiguration is being used. By opening the Internet Protocol Version 6 (TCP/IPv6) Properties dialog box from the properties of an interface in the Network Connection folder and configuring the IPv6 address, subnet prefix length, default gateway, and DNS server addresses as shown in Figure 1. 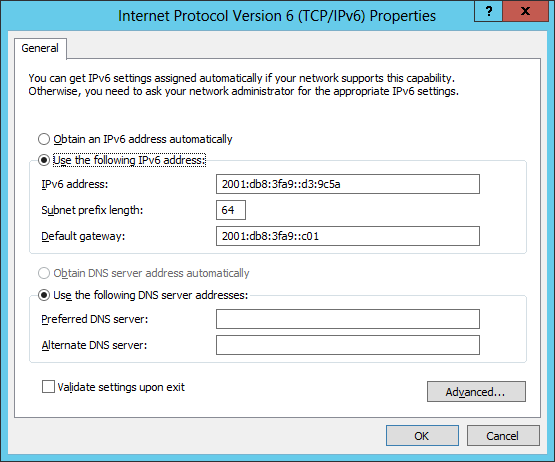 Figure 1: A screen shot showing the Internet Protocol Version 6 (TCP/IPv6) Properties dialog box, which can be used to manually configure an IPv6 address in Windows Server 2012 and Windows Server 2012 R2. Note how the preceding cmdlet output is more informative than the output from the Ipconfig command. The interface is now multihomed because it has one link-local IPv6 address and one global IPv6 address. Opening the Internet Protocol Version 6 (TCP/IPv6) Properties dialog box displays the expected manually configured address information, as shown in Figure 2. 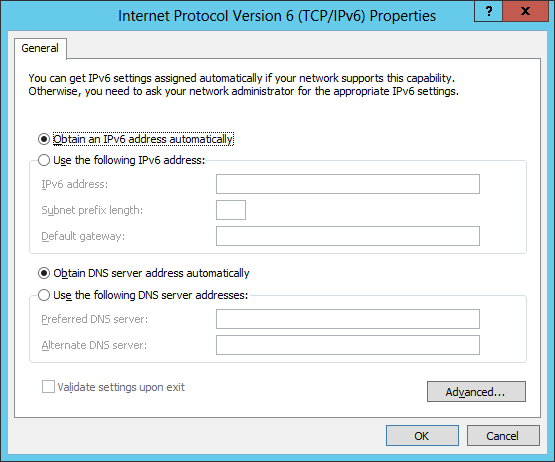 Figure 2: A screen shot showing the Internet Protocol Version 6 (TCP/IPv6) Properties dialog box, which verifies that the IP address settings were successfully configured using Windows PowerShell. In the next and final article of this series we'll examine how IP addresses can be automatically assigned to nodes on your network.